Ladies and Gentlemen, please welcome the much awaited, highly anticipated (cue drum-roll) Tailored Women Overcoat! As always, we’ve listened to your loving feedback and have come up with the much coveted demand for Women’s wear. We have introduced our ladies collection with designer pages for suits and overcoat – just in time for Winter! Not to overlook our friends in the southern hemisphere, now is a great time to pre-order your winter overcoats as well! Remember, iTailor ships worldwide to over 165 countries! As always our blog readers will enjoy $25 additional discounts to the already best prices on the internet. Simply write to our friendly customer service at contact@itailor.com with the subject “Blog Women Overcoat”. Discounts aside, the main intention of our blog however is to raise awareness of our online tailor-made culture, which is a revolutionary mix of art, skill, innovation, information technology, passion, and experience. We are proud to be the world’s leading online tailor, and perhaps the world’s leading tailor too. This is all down to our philosophy of excellence and value. Delivering the best bespoke products and services, at unbelievable prices. Keeping this tradition in mind, we have revamped our Ladies collection, re-introducing how one can shop for clothes online. Gone are the days of pre-set in-the-box attires, and forced fashion collection. 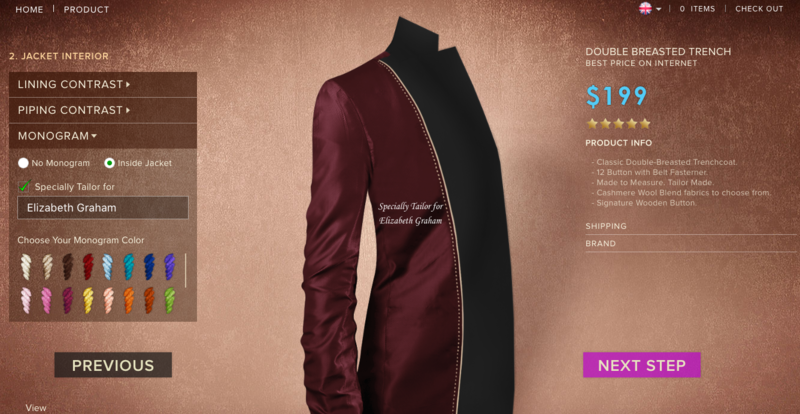 You can now design your outfit to your style, color, and personal touch. Furthermore, and more importantly, you can now design clothes that actually fit you well. Big, small, petite, we cater to all! If you find it hard to buy off the shelf and/or consistently need to alter off the rack clothing then we can definitely help you. You are able to customise to your size, and we do not charge extra for big and tall! 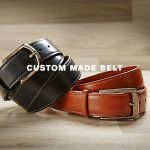 Even if you fit into off-the-shelf clothing, we do offer standard sizes, which you can design to your style to superior fabric quality and millions of style combinations at a fraction of branded wear costs (with quality that is on par or superior, that I can assure). Each item is hand-tailored meaning you will be getting the best exclusively made for you. 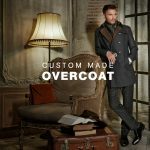 Coming back to the subject of the day, overcoats, we are excited to announce the many styles we have on offer ranging from the traditional winter long coats, pea coats, trench coats, military coats, to your own creations. CLICK HERE TO START DESIGNING YOUR OWN COAT! GET $25 OFF! And if you still cannot find the style you are after (or you are so overwhelmed by the choices on offer) you can simply write to us at contact@itailor.com requesting your styles. Our friendly customer service team is on standby to help assist on requests which are not available on our website or guide you through the style and user interface as well. Allow me to guide you through our designing process ladies, a short tutorial if you may. We start with a wide panel of choices of the type or style of coat. Ellen, my co-worker, and our chief graphics designer is heading to New York to celebrate the countdown in Times Square. It is going to be one freezing night, and she wants to look fabulous, so let’s pick her brain on the style she’s going for. Ellen is going for the Double Trenched Coat which is one of the best selling models, because its modern, fashionable and also highly functional. Our cashmere wool fabric is one of the best overcoat fabrics in the market, thoroughly tested to last, easy to care with dry clean, maintains a classy look per our bespoke standards, and most importantly serves its purpose – retains warmth. Our Double Trenched Coat is designed to be shorter in length, much like a Pea Coat, which is a great alternative by the way. Ellen finds this style perfect to pair with denim, in a casual chic look, and takes comfort in the knowledge that her shorter coat will not be bother especially when she plans to do a lot of walking around the Big Apple. Our overcoats are also constructed with fine hand-crafted workmanship, complimenting the silhouette, not bulking your look. Design your Own Coats Today! To quote the infamous fashion icon, Ralph Lauren, “Fashion is something that comes from within you”. And if it comes from within you then you are unlikely to find it off shelf it has to be custom-made for you (sorry to say it, Mr. Lauren, but your quote is a bit contradicting…hmm). Ellen swears by this quote, and channels her inner Vivaldi in the work you have all grown to love – the website graphics and designs of iTailor.com. Similarly, she has a unique sense of style which is reflected in her bold choice of Royal Pink cashmere color for her 12-buttoned Double Trenched Coat which comes with wooden designed buttons, and belt fastener. Of course not everyone enjoys such a bold color, especially in winter when grey and blacks are more in fashion. This is why we offer more than 10 cashmere color choices to choose from for all our styles. 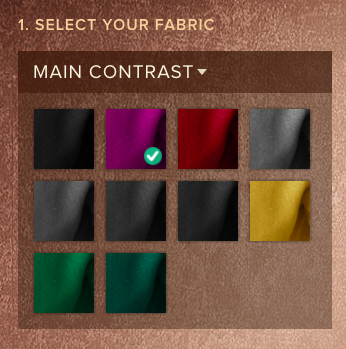 Choose Pure Cashmere Colors in Unique Colors on Internet! Deep down Ellen is more conservative, which reflects in her inner fabric choice of Deep Red, personally monogrammed with her full name Elizabeth Graham (don’t tell anyone that! she screams, oops). Monogramming is that additional touch we offer, in addition to contrasts, all of which are free-of-charge, thus making our prices the best online! Personalized touch! Free Monograms, and Contrasts! Ellen, is short in stature, and finds it hard to shop off-the-shelf anyways (which is why she was destined to be part of our custom-made journey!). In addition she wants the coat to be even shorter to balance her sleeve length. This is why she opts for custom-made measurements by selecting body size and following the video guidelines online, noting to measure her body sizes. Gent’s if you’re still reading, we do offer standard sizes as well if you’re looking to gift or buy on behalf of your Lady friends and family. Made-To-Measure uniquely to your size! Ellen happily checks out and since she is my number 1 fan, I have extended her the $25 discount as well, and will expedite her order free of charge. She’s looking forward to standing out in Times Square, on New Year’s Eve in her Royal Pink Tailor-Made Trench-coat. It’s going to be one amazing click in the Big Apple. Merci de nous avoir écrit. Je vais demander à notre service à la clientèle de vérifier et de vous envoyer un courriel rapidement. Merci pour votre soutien continu. Nice Tailoring services. I really like Custom made online tailoring /stitching services. thanks for sharing such a great information. Thank you for the great feedback! Hope you enjoyed ordering some custom-made products on our website http://www.itailor.com!